The Catskill Mountainkeeper is a Rockefeller enterprise, an off-shoot of the Open Space Institute and the NRDC. It’s also an elitist tax-exempt con game. The Catskill Mountainkeeper is the phoniest of phony anti-fracking groups. Created as ac spinoff of the Open Space Institute, which is itself a spinoff of the NRDC, it is a Rockefeller enterprise, through and through. It` is run by Ramsay Adams, son of Rockefeller champion John Adams, who helped found the NRDC and later create OSI as a vehicle for making a wilderness around Larry Rockefeller holdings in the Catskills and make money off the State of New York in the process so ever more of the Catskills can go into that wilderness playground for the rich. Catskill Mountainkeeper directors interlock with those of OSI and the NRDC. It is largely political, but pretends to do little that is political, so as to maintain its status as a charitable organization and its ability to lobby with tax-exemption. It’s also part of a solar scam that allows Governor Corruptocrat to feed it money to oppose things such as pipelines; anything that would lift Upstate New York economically and make it’s land more valuable and less easily purchased. 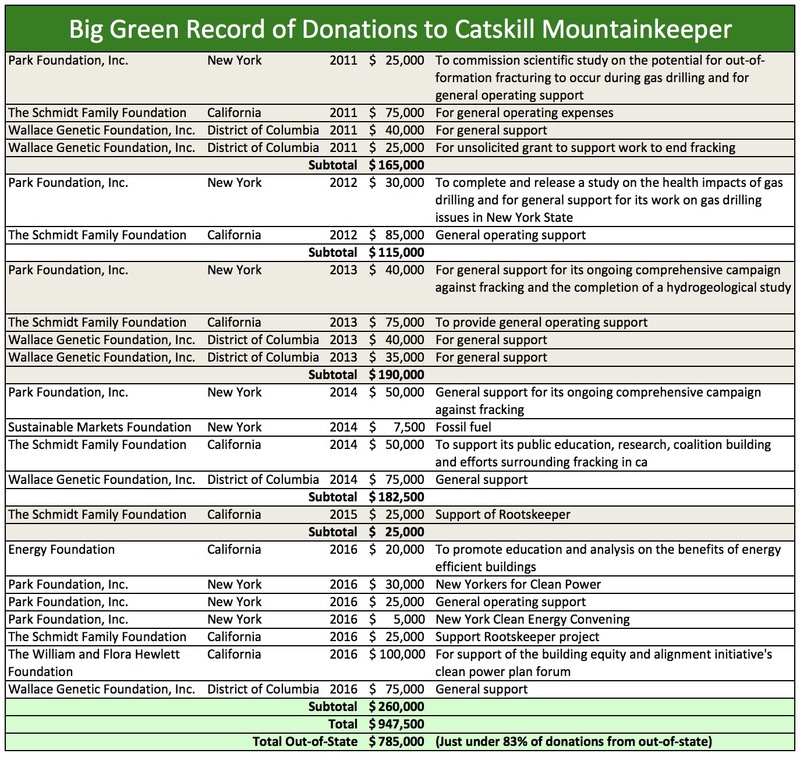 Catskill Mountainkeeper is, too, taking big gobs of money from out-of-state funders and serving as a facilitator in pushing the anti-fracking gospel to other states, spreading Big Green wealth around. This sampling of prominent fractivist funders (which excludes several others) shows the Catskill Mountainkeeper collected 83% of this funding batch from out-of-state organizations with much bigger special interest agendas than the Catskills. 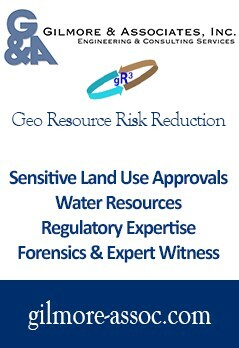 Significant money has also gone into what are out-of-state agendas. Take for example, Rootskeeper, which is fractivist crackpot David Braun’s new schtick. He was New Yorkers Against Fracking and is now Californians Against Fracking. He’s a “Have Lies, Will Travel” guy, it seems, a professional activist and demonstrator of the Coolidge Effect. These foundations, with the excerption of Google guy Eric Schmidt’s organization, all represent old money. The Park Foundation spends the wealth of a cake mix and billboard empire. The Sustainable Markets Foundation is a Rockefeller enterprise run by Fractivist Raspution Jay Halfon. The Wallace Genetic Foundation uses money made by former Vice-President Henry Wallace in seed corn development. These are trust-funders trying to prove they are as good as the makers of the wealth by spending it. Meanwhile, the Energy and Schmidt Foundations pursue special interest green energy agendas. The Catskill Mountainkeeper is a corporatist tool; a vehicle for furthering the agendas of the wealthy via a phony tax-exempt charity. I’ll be digging deep into the Big Green database with additional posts down the road but what’s happening with the Catskill Mountainkeeper is a microcosm of the fractivist cause; bought and sold by wealthy elites who desire to be masters of the universe. One more brick in the wall, against a faceless lobbying machine.